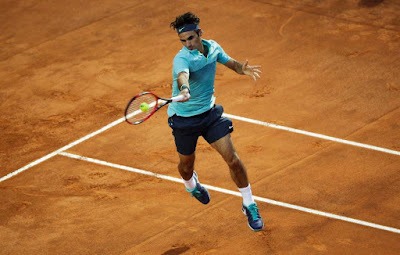 Roger Federer defeated Uruguay's Pablo Cuevas for the second time this month as the Swiss legend began his campaign at the Italian Open with a 7-6(3), 6-4 win on Wednesday. The second-round success in 81 minutes came just over a week after Federer beat the Uruguayan on clay in the final in Istanbul. "I know I'm not the favourite like I've been in other years for the title here - but who cares, really?," said Federer. "I was focusing on getting through this round and I'm happy I won it. I lost last week in Madrid (to Australia's Nick Kyrgios) and here a year ago holding match points both times. "So right now I'm glad to go through. It was nice to get the victory tonight."